Eaux Claires, the festival curated by Bon Iver’s Justin Vernon and the National’s Aaron Dessner, celebrated its second annual event in Vernon’s hometown of Eau Claire, Wisconsin this year. Friday night saw the live debut of Bon Iver’s new album, 22, A Million (out September 30 from Jagjaguwar), while Erykah Badu ruled over a headlining set on Saturday. 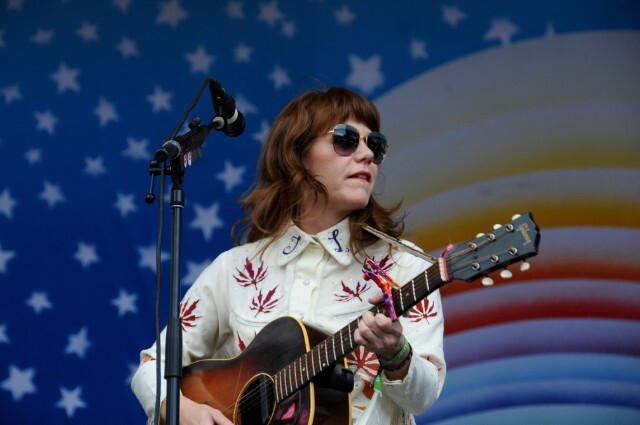 Across two days at Foster Farm, SPIN caught performances by Jenny Lewis, Vince Staples, Beach House, James Blake, Mavis Staples, Phosphorescent, and more. Click through to see them all, plus more scenes from the weekend’s festivities.